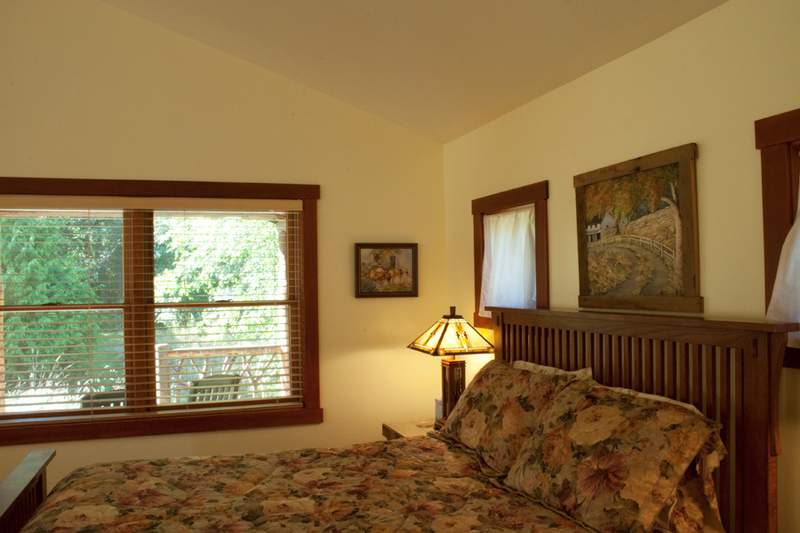 This wonderful cottage suite has a view of the woods and ‘Fairy pond’ from the comfort of the hickory rocker that was handcrafted by Mennonites. 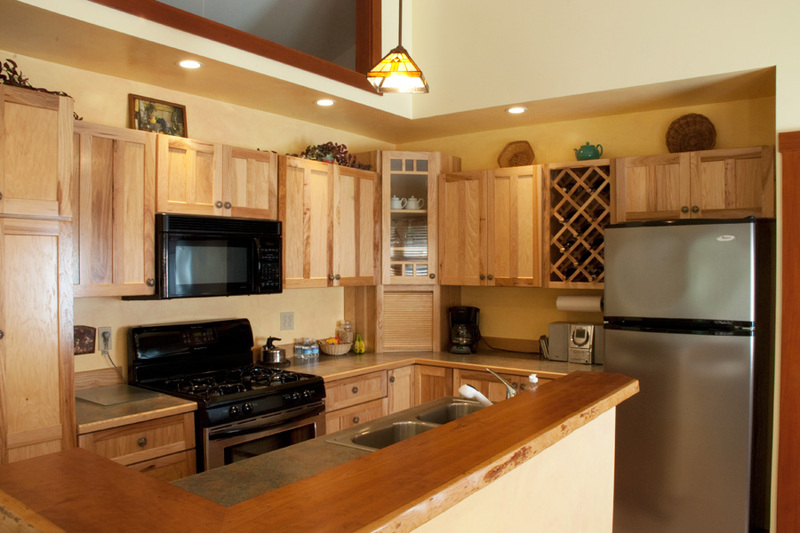 The softly colored walls and hickory cabinets in the kitchen give a one-of-a-kind feel to this shingled cottage. 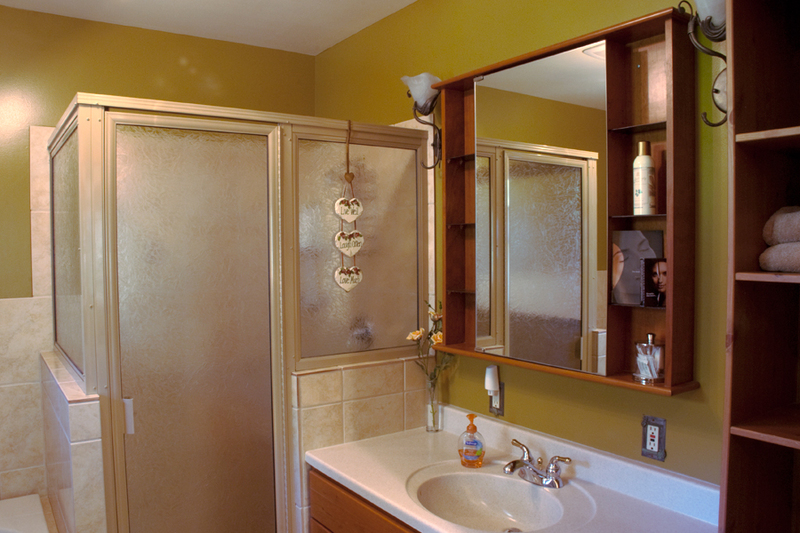 Spend special get-a-way time in this quiet oasis. Have a cup of your favorite beverage curled up in front of the fireplace. 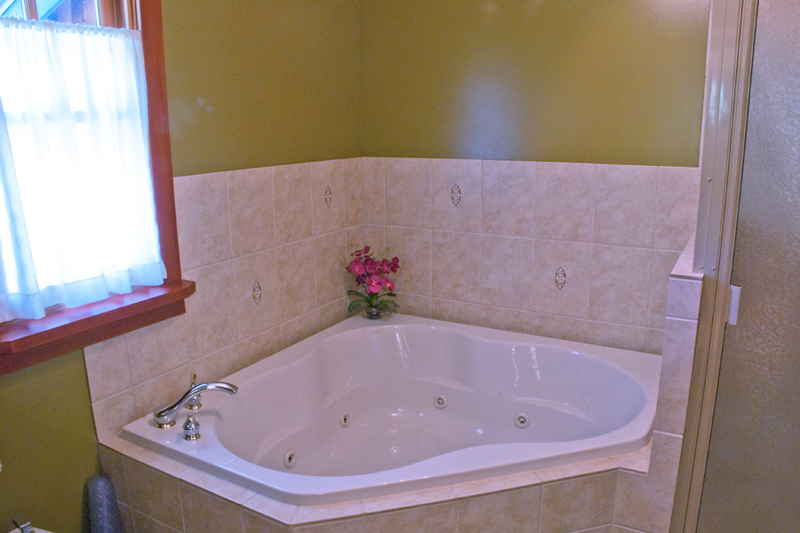 In the peace of your own room, sit and relax in a Jacuzzi tub for two. 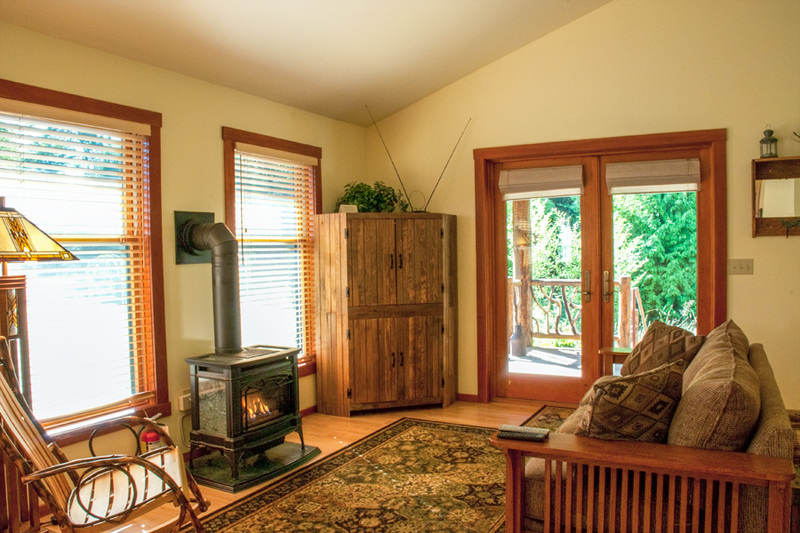 The special feel, beauty, and quiet make this cottage the ideal spot for writing, art and rejuvenation. 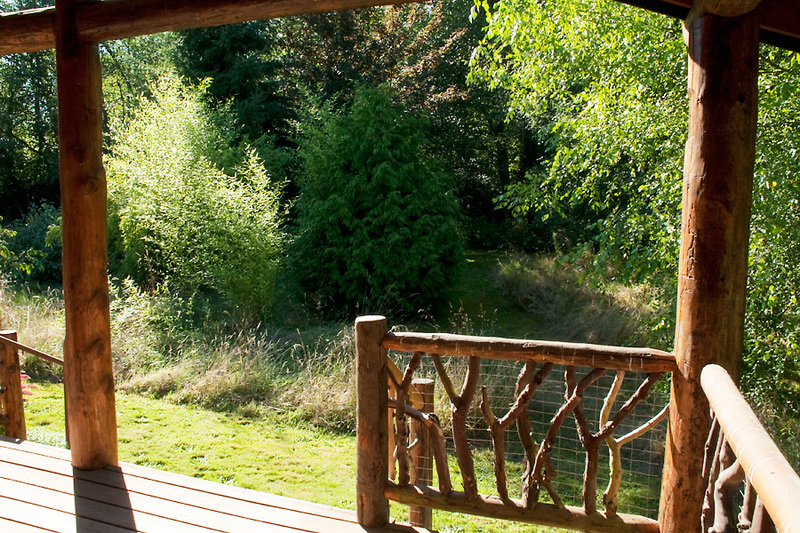 Stroll through and relax in our beautiful gardens. Complete private cottage. 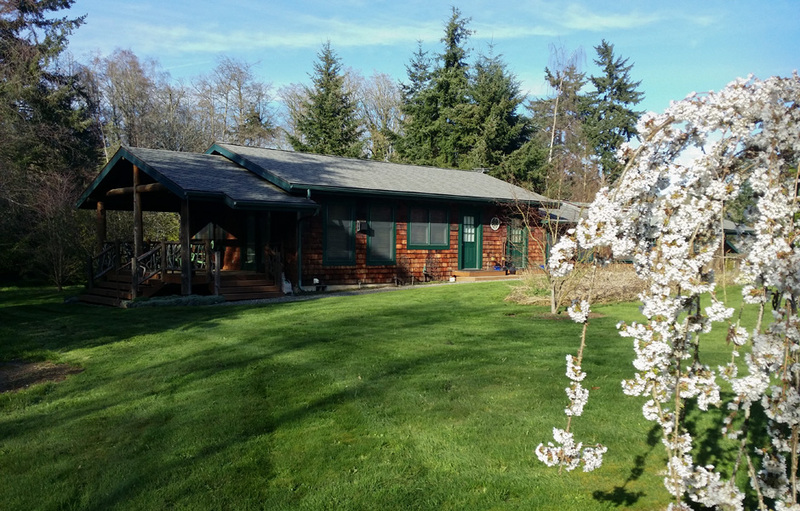 Beautiful luxury cottage with Queen bed, full kitchen, fireplace, whirlpool tub for two, bidet, 4 ft. richly tiled walk-in shower plus ample counter top and sink. 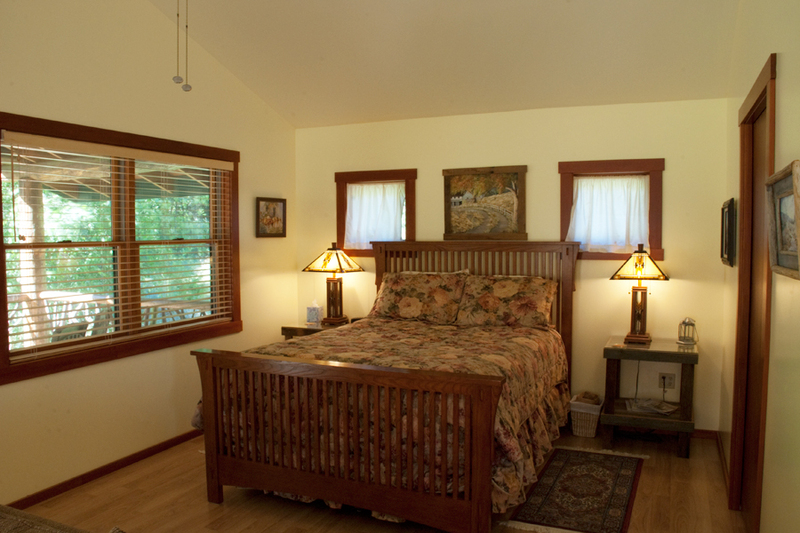 Sunny days in a calm and beautiful setting, in the Riverbirch Cottage. It really doesn’t get any better any better than this. Thanks for presenting this gift to the world with such a warm and lovely smile. I came for 2 but stayed 3 days. 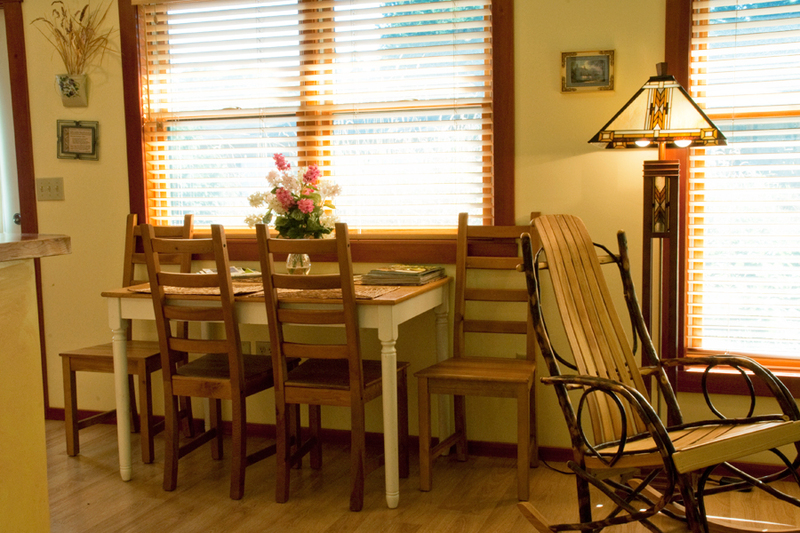 What a lovely retreat in the Riverbirch Cottage… loved, loved, loved it. My first B&B experience may very well be my best (until I return). Keep up the good work… more people need this place.